[fusion_builder_container hundred_percent="yes" overflow="visible"][fusion_builder_row][fusion_builder_column type="1_1" background_position="left top" background_color="" border_size="" border_color="" border_style="solid" spacing="yes" background_image="" background_repeat="no-repeat" padding="" margin_top="0px" margin_bottom="0px" class="" id="" animation_type="" animation_speed="0.3" animation_direction="left" hide_on_mobile="no" center_content="no" min_height="none"][fusion_alert type="general" accent_color="" background_color="" border_size="1px" icon="fa-flag" box_shadow="yes" animation_type="0" animation_direction="down" animation_speed="0.1" class="" id=""]The teams have been on their outreach locations for about three weeks now. Team Nepal was able to get a short update of their time in Kathmandu before heading out on a six week trek. Unfortunately there will not be much communication from this point on because the area they'll be is extremely remote. [/fusion_alert] We have now been in Nepal for a few weeks now, and starting to settle in. We are getting used to the crazy traffic, and thankfully we have had no accidents yet. The food is amazing in the city, and the team loves to eat tikka masala multiple times a week. 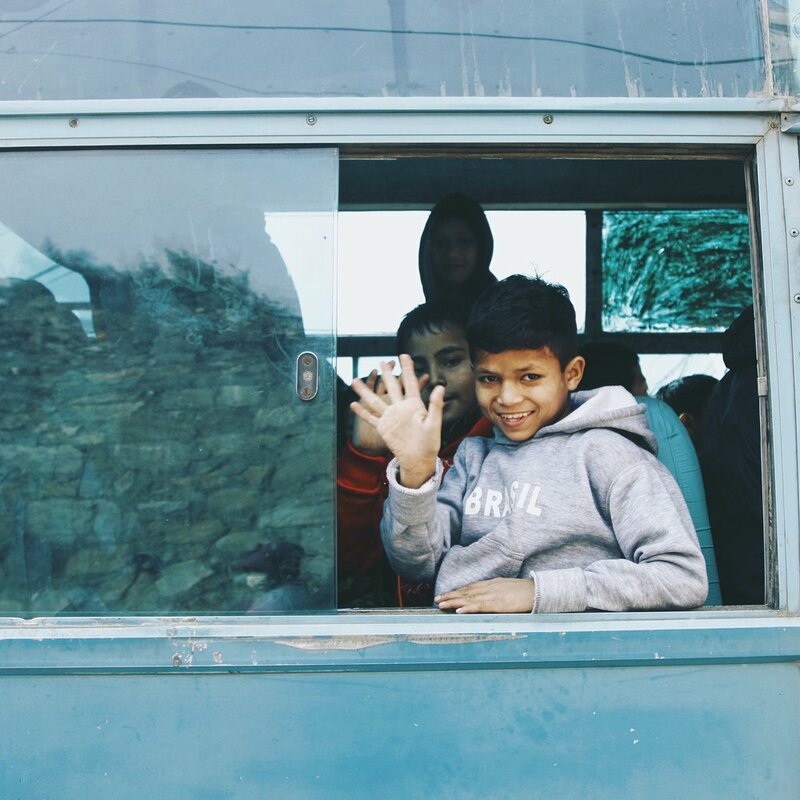 Last week we spent three days at a youth center here in Kathmandu. The nurse on our team taught first aid, and we had lessons in music, arts and photography. Eventually we had an opportunity to share the gospel with the youth. We were informed that they haven’t heard the gospel in it's fulness, or ever had it explained to them. Each day we showed another part of the gospel through skits, and then we had small groups afterwards where the kids could ask questions. We had amazing conversations, and it was really clear that this was not a story they had heard before. Kathmandu is very westernized, especially among the youth, yet there are still unreached people here.